Our Show Room is widely spread arount 2500 sq area at Marol Military Road, Andheri. All varities of Equipment are displyed here. We have bben serving Hospitality industry since last 25 years & updated our product range according to buyers requirement with latest technology. Even the demo is also given to the client in showroom itself if required. 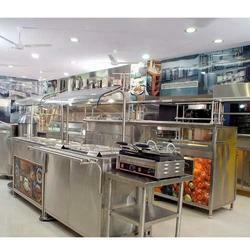 We are one of the leading manufacturers & suppliers of Showroom Equipment. We are one of the leading manufacturers & suppliers of Showroom Counters.